The Asian Games is considered the second largest multi-sport competition in the world (after the Olympic Games). The Asian Games are officially known as Asiad. 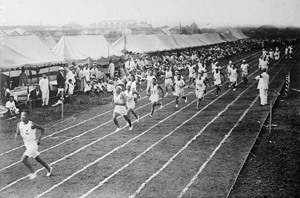 The Games were first held in 1951. The Asian Games were last held in Incheon in South Korea in 2014, then held in Jakarta Indonesia in 2018. At the 2014 Asian Games, there were 36 total sports included in the program, comprising 28 Olympic Events and 8 Non-Olympic Events. See more on the Asiad sports. Asian Beach Games — a multi-sport event held every two years among athletes representing countries from Asia. Countries — information about each country that has participated at the Asian Games. History — about the history of the event. Hosts — about the host countries and cities. Trivia — trivial information about the Games.